The importance of well-funded education in the nation’s strive for development cannot be overemphasised. 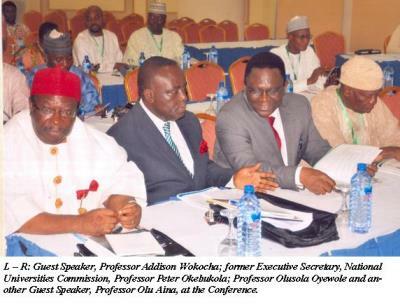 This was the submission of the Vice-Chancellor, Federal University of Agriculture, Abeokuta, Professor Olusola Oyewole, at the 1st Conference of National and States Assembly Committees on Education, held recently in Abuja. 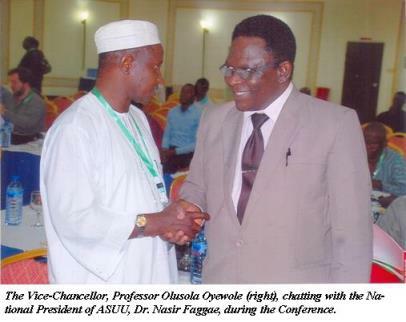 According to Professor Oyewole, who is also the President, Association of African Universities (AAU), education remained the most powerful weapon in changing the society for the better. 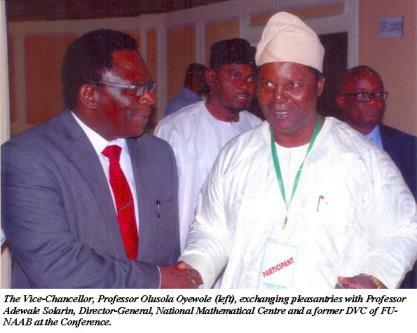 In a lecture titled Challenges of Funding Education in A Federal Nigerian System, which he presented alongside Professor Placid Njoku, former Vice-Chancellor, Michael Okpara University of Agriculture, Umudike and President, Nigerian Institute of Animal Science, Professor Oyewole gave the historical trajectory of the major phases in educational development, which began in 1842 to date. He stated that financing education should be a joint responsibility of the federal, state and local government, as well as the private sector. The AAU President bemoaned the paltry allocation to education and called for an improvement through statutory allocations, increased government investment, strengthening governance and the establishment of a framework for intervention from sectoral bodies. The Vice-Chancellor said that over the years, there was no increase in statutory allocations to each University, but that the increase in the total allocation to Universities was due to the fact that they had increased in number. In 2005, the education budget as a percentage of the total federal government budget was 8.8 per cent, which rose to 10.2 in 2008 and declined by 2010, when it declined to 7.4 per cent and over the years, the annual envelope had been inadequate to meet up with the ever-increasing demands by Universities, he stated. Professor Oyewole, however, lauded the intervention of the Tertiary Education Trust Fund (TETFUND), in reducing the financial burden of federal Universities, but added that such efforts had not been able to adequately provide for the actual needs of the institutions. On the way forward, he cited the examples of some African countries namely Ghana, Malawi, Kenya and Uganda whereby government’s well-designed policies had been useful in meeting up with the challenge of funding education. Speaking at the occasion, Professor Njoku identified the strategies that could be adopted in meeting the challenges associated with funding with a view to overcoming them. These include improved data gathering mechanisms, embarking on annual needs assessment to identify specific areas of focus, Strategic Plan Development Community-based Management Committee involvement, among others. The former Vice-Chancellor noted that the nation’s educational system was near collapse because the basic level is non-descript while the senior secondary and tertiary levels are in comatose and unstable, respectively. To overcome the funding crisis, the don recommended an emergency plan in education funding for the next five years by tapping into new sources of funding, as well as taking the necessary legislative actions. Some of the prescribed legislative actions are the introduction of a performance-based funding system, improvement in the internally generated revenue by helping institutions to attract foreign grants and the conversion of polytechnics into Universities of Technologies. Earlier, the organiser of the conference and the Chairman, Senate Committee on Education, Senator Uche Chukwumerije, stated that the theme of the conference, Transforming Nigeria’s Education Sector: The Legislative Agenda, was chosen “to underscore the keen interest of the education committees to support the drive by all governments; federal and state, to transform their economies through the diversification of opportunities, restoration and expansion of essential infrastructure and efficient management of resources”. The main outcome of the maiden conference, is to make the legislative committees on education to be united in their vision of the Nigerian education sector by generating appropriate synergy between States and National Committees.